Feel free to add a comment. 11847 2.2 years ago William M. Comiskey MN , US A World Peace holiday could be a way to draw attention to the U. S. doctrine of perpetual war. 11844 2.6 years ago Nadya Williams CA , US I am an Active Associate member of the San Francisco Chapter of Veterans For Peace. 11839 2.7 years ago Ronald Edwin Staff MN , US Good law. 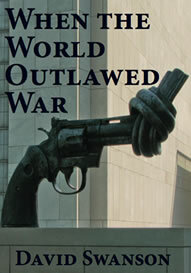 11837 2.7 years ago Anonymous KS , US In dereliction of its Constitutional duty, the US Congress has not addressed the issue of war/peace except through a "War Powers" act which allows the president to do whatever he pleases.